Product prices and availability are accurate as of 2019-04-12 09:27:36 EDT and are subject to change. Any price and availability information displayed on http://www.amazon.com/ at the time of purchase will apply to the purchase of this product. Nancy Drew: Secrets Can Kill REMASTERED is a first-person perspective, point-and-click adventure game. The player is Nancy Drew and has to solve a mystery. Explore rich environments for clues, interrogate suspects, and solve puzzles and mini-games. 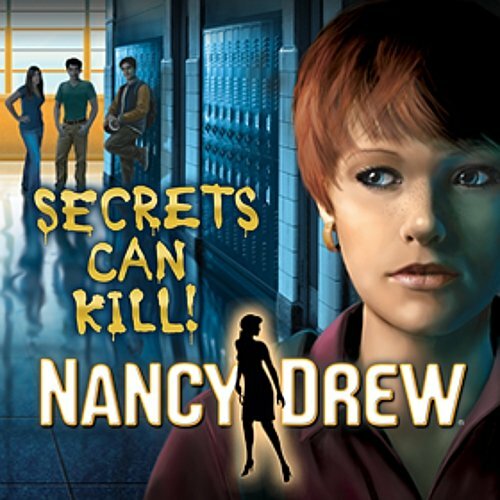 Play as Nancy Drew and investigate a murder at a local school. 3D animated characters, each with a secret to protect. New puzzles and storyline twists await you in the high school halls. Vintage Nancy Drew references celebrating the brand’s 80th anniversary. Take risks without starting over - the game will automatically return the player to the point before the fatal mistake. Copyright 2010 Her Interactive, Inc. HER INTERACTIVE, the HER INTERACTIVE logo and DARE TO PLAY are trademarks of Her Interactive, Inc. NANCY DREW is a registered trademark of Simon & Schuster, Inc. Licensed by permission of Simon & Schuster, Inc.